GRILL DIRECTIONS: Heat grill. Heat chicken strips as directed on package. Meanwhile, separate dough into 8 biscuits. Press each to form 5-inch round. Spray 1 side of each round with nonstick cooking spray. Place sprayed biscuit rounds, cheese, onions and warm chicken on tray for carrying to grill. 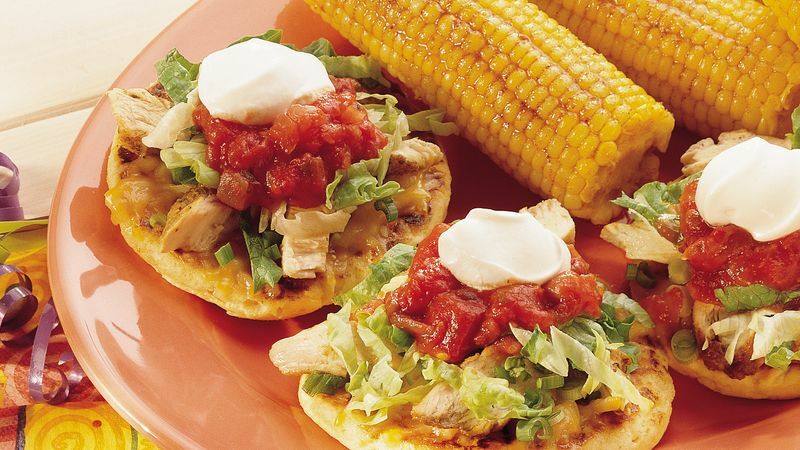 To serve, top tostadas with lettuce, salsa and sour cream.